We've covered a few of the landmark devices in early personal computing such as the PET, Apple II from the 1970s, and the Atari ST and Amiga from the 1980s. But one of the most important computers to be launched in the mid 1980s is one that you may not even have heard of. Released in June 1987, the Acorn Archimedes was a revolutionary computer in many ways… but the true revolution was what powered it. Thirty years ago, the Archimedes was the first consumer product to feature the ARM processor. Today the ARM processor core is found in almost all smartphones, devices such as the Raspberry Pi and embedded systems in domestic appliances, cars and many more applications. Billions of devices with ARM processors have shipped worldwide in the past few decades, making it arguably the most popular processor platform in the world. 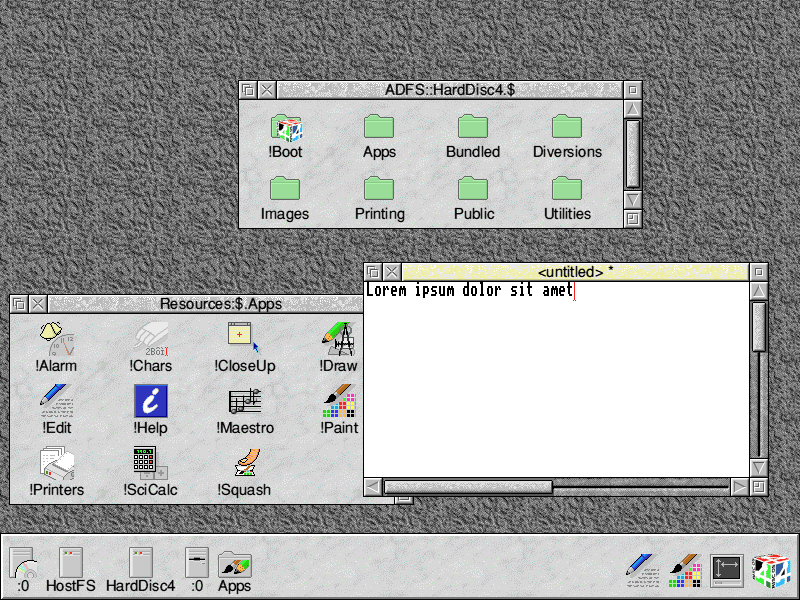 The ARM's debut was in a funny little computer made by Acorn Computer in the UK. 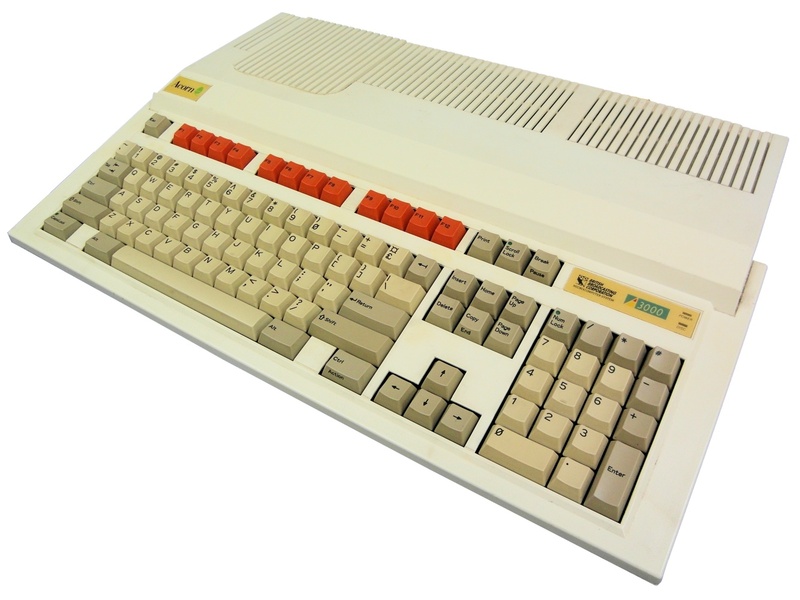 Acorn had some success selling their range of 8-bit BBC Microcomputers in Europe, especially to schools. Based on the popular 6502 processor from the 1970s, the BBC Micro had pushed the boundaries of what could be done with this technology and it was time to move on. Acorn engineers Roger (now Sophie) Wilson and Steve Furber had been impressed by the speed and simplicity of the 6502, but they were also influenced strongly by research coming out of California into Reduced Instruction Set Computer (RISC) architecture which sought to make processors faster by making them simpler, which went against the trend of adding complexity. To use an analogy - if you want to make a car faster you could either create a bigger engine with turbochargers and all sorts of electronic and mechanical trickery, or you could simplify the car and make it smaller and lighter. RISC architecture took the latter approach, and by making the design simpler they could make the processor very fast indeed. Colin Chapman of Lotus Cars famously said "simplify, then add lightness" which is exactly what the RISC processor did. When the Archimedes hit the market, it wasn't the first RISC-based computer. But it was the first one aimed at consumers and schools, and it came at a time when most rivals such as the Amiga, ST and Apple Mac were running some sort of version of the older Motorola 68000 CPU. Where computers such as the Amiga were powerful because of the addition of coprocessors and other speed-enhancing technologies, the Archimedes was fast in its own right. The 1987-era ARM was a 32 bit CPU running at 8MHz, in the Archimedes it would typically be paired with 1MB of RAM. Graphics and sound were pretty good for the time, and it could theoretically do everything that any other microcomputer of the era could do. 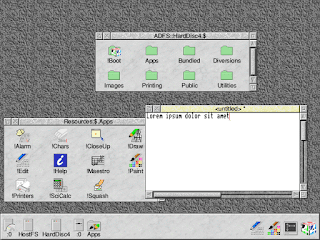 One major problem was that the OS wasn't really ready at launch, with a simple GUI called "Arthur" giving way to the more capable RiscOS in 1989. 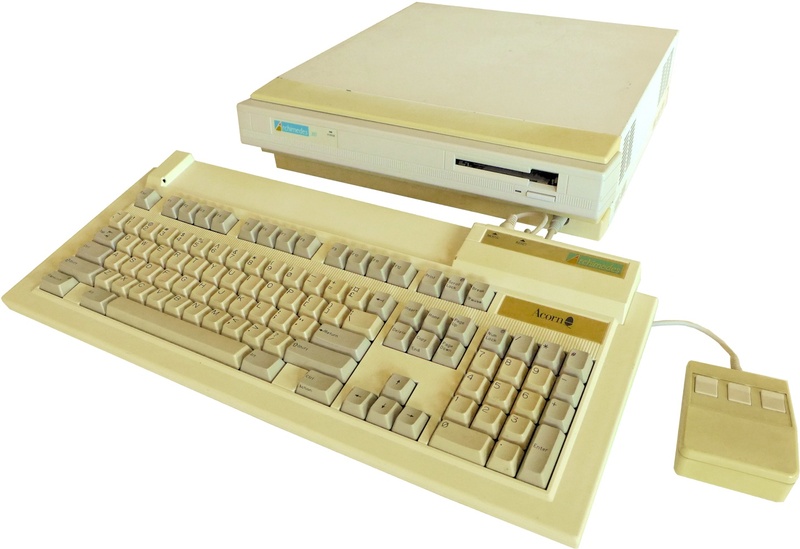 Some models of the Archimedes were official "BBC Microcomputers" and had red function keys, the others were grey. The Archimedes sold well into markets where Acorn already had a foothold with the 8-bit BBC. Educational markets in the UK, Ireland, Australia and New Zealand were a mainstay but the platform also appealed to hobbyists, computer scientists and others who wanted fast, cheap computing. Or those who wanted to play Zarch. Over the next few years upgrades and variants came out, typically with faster CPUs but also with other performance additions. 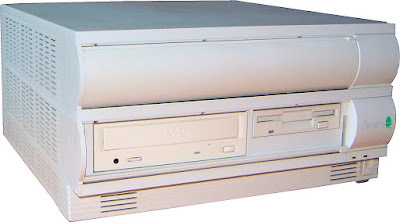 In 1994 the Archimedes was replaced by the RiscPC, but by then Acorn was coming to the end of its life. In the end, two things killed Acorn. By the mid-1990s, IBM PC compatibles ruled the roost (unless you used a Macintosh). Sales were dwindling, but development costs were still high. It's quite possible that Acorn could have found its niche as a workstation manufacturer, but there was another problem..
..that problem was the company now called ARM Holdings. ARM Holdings (then ARM Ltd) was a venture between Acorn, VLSI Technology (who made the silicon, now part of NXP Semiconductors) and - perhaps surprisingly - Apple. Apple were interested in the ARM processor to power its MessagePad line, and although that device is considered a failure it did demonstrate the usefulness of the ARM CPU in mobile devices. On top of that, the small size of the ARM CPU core meant that it was ideal for embedded systems too. ARM Holdings didn't make the processors itself, but licenced the technology to others. During the 1990s the company had grown very quickly and was becoming quite valuable. As it happens, Acorn still owned a very large stake in ARM.. and the problem was that the stake was actually worth more than Acorn itself. So, anyone who bought out Acorn would instantly own an even more valuable set of stocks in ARM. And that is exactly what happened. In the end, Acorn was broken up and the technologies were sold on to other companies where they either faded from view or ended up in odd places such as set-top boxes. However, the ARM processor was a huge success. 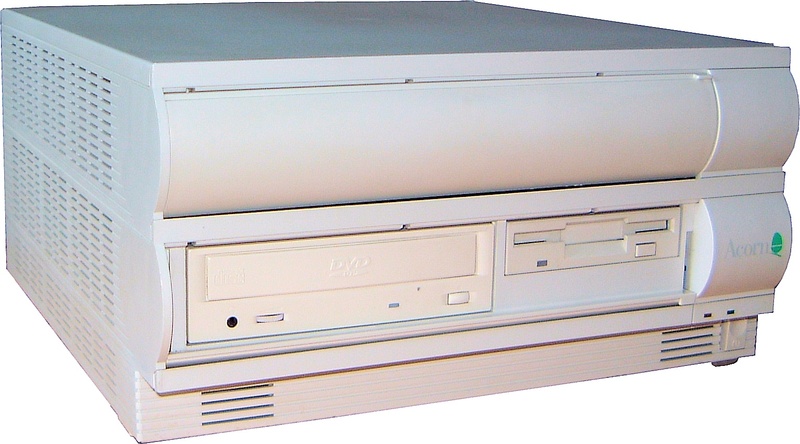 These days there is still a lively community around these devices, and Archimedes and RiscPC machines (and their variants) are pretty commonly available. You can even run a version of RiscOS on the ARM-based Raspberry Pi which kind of completes the circle. RiscOS Virtual Machines are available too. In the end, the Archimedes is often an overlooked device. But the ARM processor it used was massively influential, and it's quite possible that RISC architecture would never have been so widespread without it. Today ARM Holdings is owned by Softbank of Japan and turns over around a billion pounds every year. Not a bad legacy for a little computer company. Quite right :) Fixed. That's what happens when you write something back-to-back with the Apple II which *is* 40 years old..